Passion brought them together, but it's love that will tear them apart. After a night of romance, Dustin Marler finally has it all: Andrea Sorcosi, supermodel extraordinaire and the love of his life, share her affections with him and Alexander Vandiveer, a self-destructive superstar who happens to be Dusty's best friend-and perhaps more. Together they endeavor to launch Dusty into fame and fortune beyond his imagining. But the threads that entangle them become ever tighter as they struggle to make sense of this different kind of friendship. The closer they grow, the more perilous their relationship. Dark secrets threaten to upset the fragile balance they've created, each one leaving them teetering over the edge of everything they've ever known. 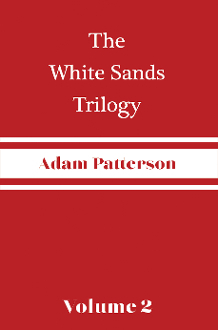 In this second installment of the White Sands Trilogy, Dusty is left with an impossible choice: to live the life he's always wanted, or save the only life he's ever known.